2. 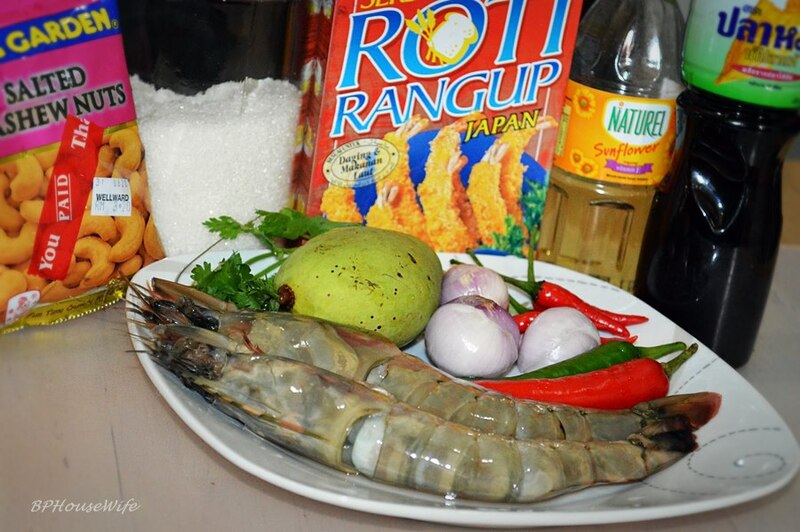 Preparing shrimp. 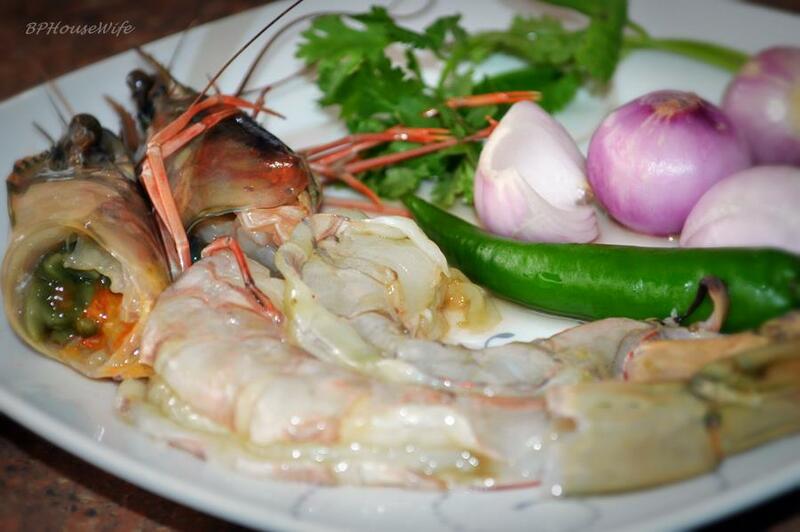 Peel and devein shrimp. 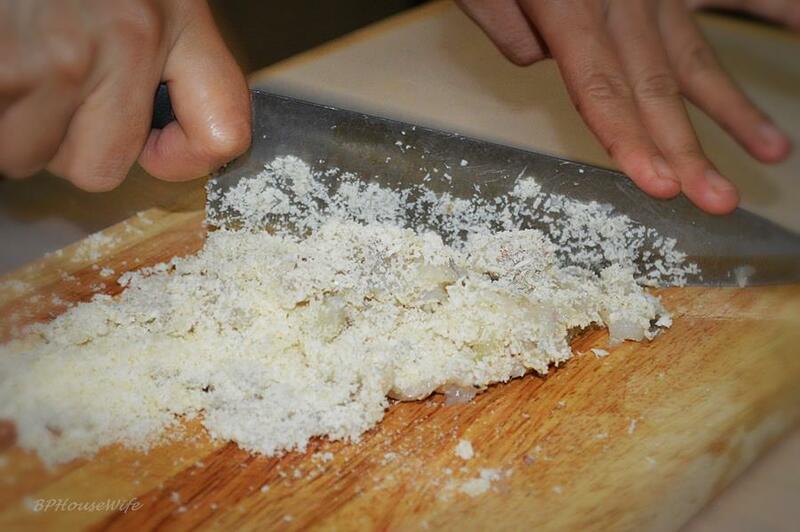 Coarsely chop the shrimp. 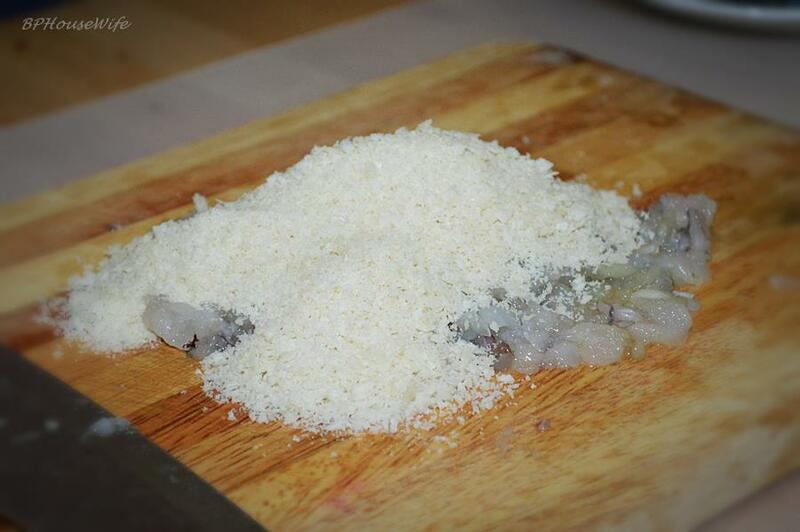 Add in breadcrumbs then continue chop until finely chopped. 1 1/2 minutes. 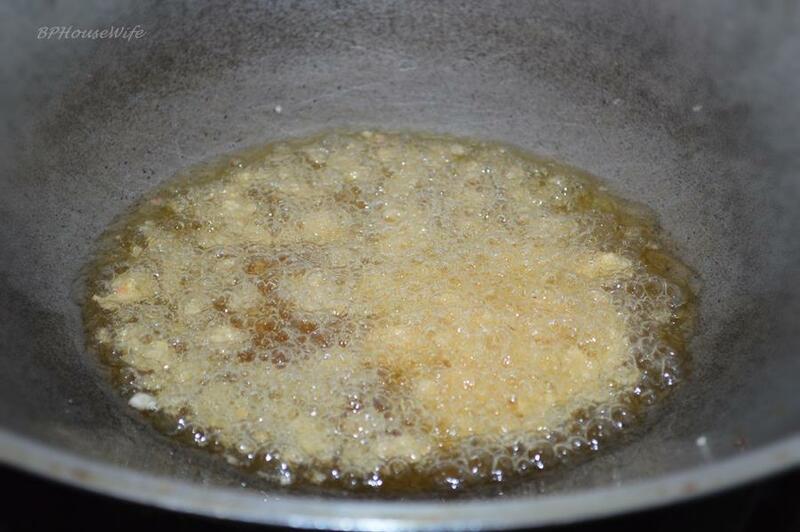 Remove from the oil and drain on paper towels. 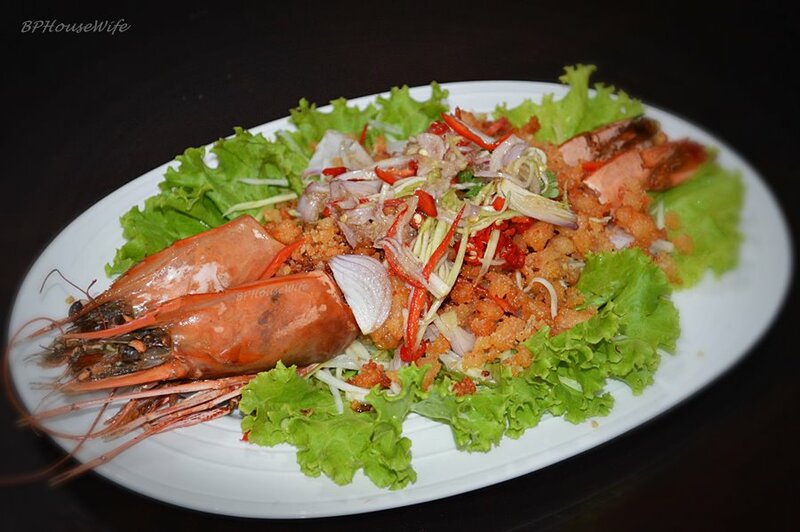 crispy shrimp and garnish with coriander leaf.